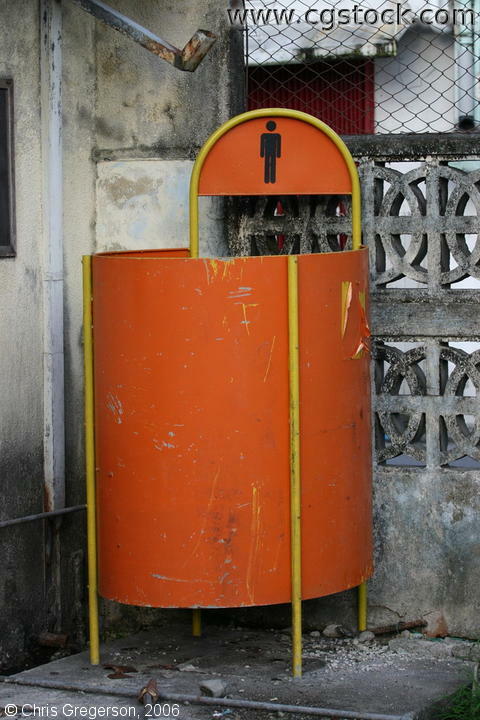 This is the usual look of a public male urinal in the Philippines, but not usually orange. You could find them plenty in Metro Manila where the authorities would like to control the uncontrolled urinating of males. The urine directly goes down to the sewer system in the street.